MANTO x KRAZY BEE MMA Shorts are built using highest quality material with slight 4 way stretch added to provide unrestricted movement. An elastic waistband and velcro closure provides both comfort and functionality keeping the shorts snug to your waist during any sparring session. 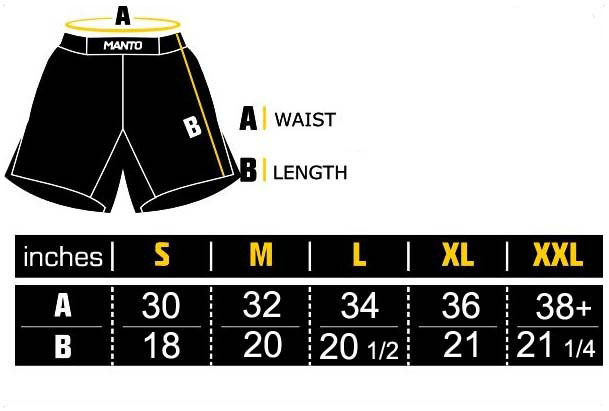 The MANTO Pro Shorts are the right choice for all athletes serious about their training.